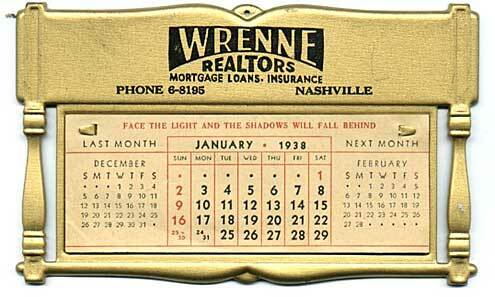 Wrenne Mortgage and Realty Company, Inc.
Began business in 1927 as Thomas W. Wrenne & Co., Bankers. 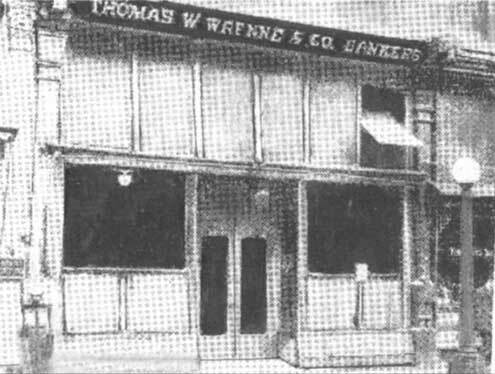 Google searches reveal Thomas W. Wrenne to be Clerk and Master of Davidson County in the mid 1880’s, so the banking company was doubtless run by World War I veteran Thomas W. Wrenne, Jr, (born 1898). Several individuals with that surname participated in the business. 304 3rd Avenue North in Nashville. 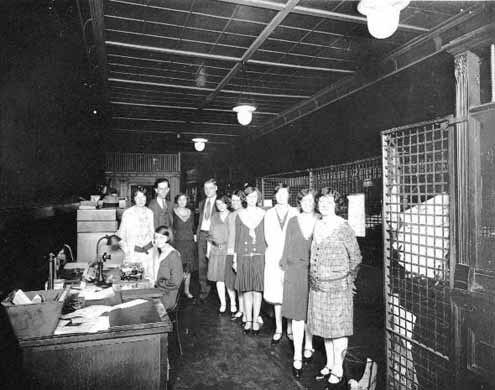 But this business was a State Chartered Bank, and needed “cages” for its tellers, etc. 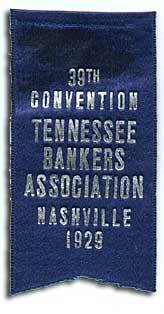 My mother joined this organization shortly after her arrival in Nashville with a little help from the lady sitting behind the desk. But although this State Chartered Bank offered a broad range of services (see below) it was caught in the turmoil of the depression and closed its doors, never to reopen them as a bank. 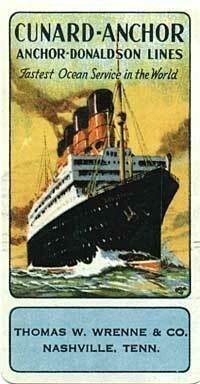 The liner pictured on the travel agency card was probably the Cunard Liner “Berengeria”, formerly the German “Imperator” and given to the line as reparation for the loss of their “Lusitania” to a German U-boat. 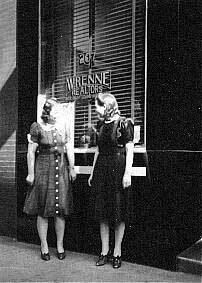 In early 1933 the business reorganized itself as the “Wrenne Mortgage and Realty Company, Inc.” My Mother and the seated lady previously pictured were two of the three ladies they called back to work. For a time business prospered, and the Company moved to new offices at 207 Union Street. However, larger firms bought the stock of the company, weaned away its business and by the 1970’s it seemed to exist only as shell corporation whose officers could execute full releases for paid mortgage notes which had been secured by Deeds of Trust citing Wrenne as lienholder. But after the Glick scandal involving a Nashville Bank’s speculative investments in Las Vegas real estate the Federal Reserve forced a great simplification of the Nashville lending structure. By this time the Wrenne corporation had lost its utility and as name diversity was no longer desirable the owners ceased to file its State tax reports and Wrenne’s corporate charter was revoked by the State Department of Revenue in 1978.